Anti-Islamic ‘Reclaim Australia’ marches are planned for 16 major cities on Saturday. Opponents have lashed out at the event in social media, calling it ‘Nazi’, while activists claim they are guarding traditional Christian values. The nationwide rallies are to be attended by controversial figures, such as Shermon Burgess, a member of the far-right Australian Defense League and owner of the Great Aussie Patriot rightist propaganda webpage, and flamboyant cartoonist Larry Pickering. #ReclaimAustralia speaker: Shermon Burgess who reportedly threatened to bomb mosques & murder Australia’s most senior Sunni Muslim cleric. The march in Newcastle is expected to be attended by right-wing One Nation party candidate Mike Holt, known for his harsh position on the advancement of Islam in Australia. The organizers claim they want “to show the people of Australia we have had enough of minorities not fitting in and trying to change our Australian cultural identity. “We’re not out to demonize the larger Muslim population because we can see the good that they’ve done. 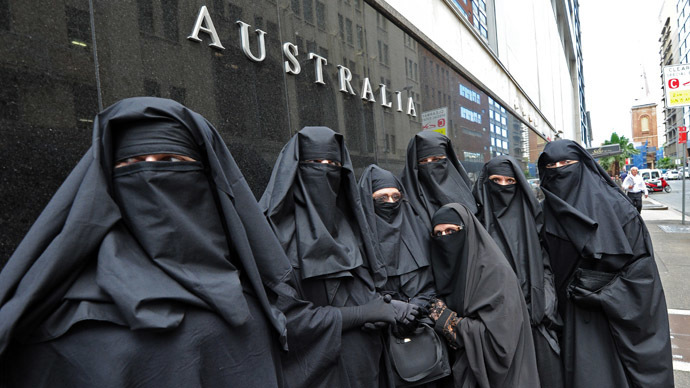 You can see that they’ve denounced terrorism,” Reclaim Australia’s spokesman, John Oliver, said. The rally’s organizers stress that its agenda has nothing to do with neo-Nazis or white supremacists, so all banners bearing symbols of such ideology are to be expelled from the rallies immediately. What the group apparently stands for is banning in Australia such things as: Sharia law, Halal food certification, female genital mutilation, the teaching of Islam in government schools, polygamy and the wearing of Burqas. The march already has over 20,000 likes in Facebook, which could indicate that thousands are likely to turn up for the event on April 4. Reclaim Australia has been widely accused of racism on social media. Rallies to counterbalance the anti-Islamic marches have been planned in Melbourne, Sydney, Brisbane and other cities. #ReclaimAustralia Just another way to spread hate, islamaphobia and bigotry! Way to go Australia! Ah, #ReclaimAustralia says they won't tolerate racist behaviour. While marching to outlaw Islam. LOGIC! So the racists, cough, sorry patriots, of #ReclaimAustralia are marching for Australia. Hopefully in the rain. The Anonymous hacker group has described Reclaim Australia as “an extreme right-wing group inciting religious hatred” and also promised counter rallies on April 4. “We plan to occupy Solidarity Square in West Perth, so that the racial hate groups cannot hold their [anti] Muslim rally,” the group said in a video statement. “We will also be occupying your protest space in Sydney and Brisbane". Anonymous has also promised “to take their fight to the internet,” but did not specify exactly how. An absolute majority of Muslims that immigrate to Australia do so to find a better life, and they want to live peacefully after coming from countries like war-torn Afghanistan, Afghan refugee Abu Bakar Alam told the Age newspaper. “Australia is our country – my country and your country. We are like one family, like brother and sister, father and mother. We are all part of the community, and everyone must look after each other,” he wrote. 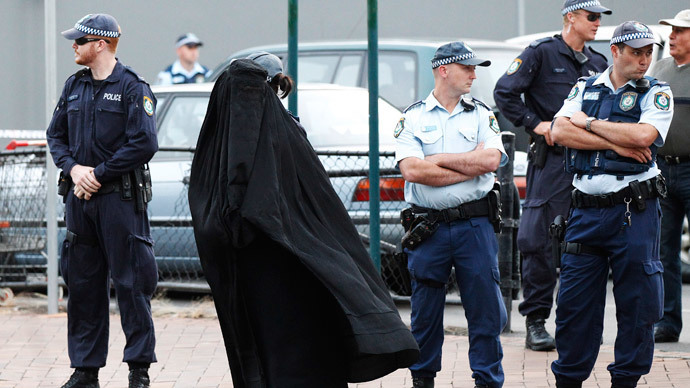 After Australian police conducted their biggest ever anti-terrorism raids last September, there was a significant backlash against the Islamic community. Conversely, during December’s Lindt Café siege in central Sydney, a solidarity campaign was launched on Twitter under the hashtag #Illridewithyou, with the aim of protecting innocent Muslims from any potential retributive actions. "This demonstrates the goodwill of the Australian public. We need more and more of such activities," Samier Dandan, president of the Lebanese Muslim Association of Australia, told Al Jazeera. "Any event or activity that brings people together will be beneficial." https://t.co/8rYPnG35pL Anti-Racist Counter Rally tomorrow against the Reclaim Australia protests in Sydney. No tolerance for intolerance. 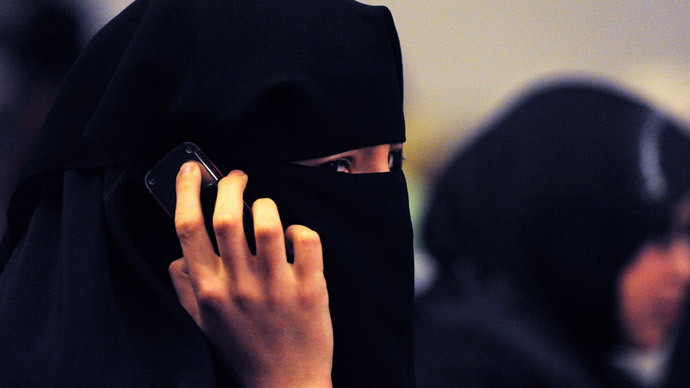 A survey made in early 2015 by the University of Queensland exposed that as many as three-quarters of Australian Muslims believe they are unfairly targeted by counter-terrorism laws, living “under siege” conditions. However, a number of bloody incidents and scandals rocked the island continent over the last half-year. In September 2014, an 18-year-old man, reportedly supporting ISIS, was shot dead after stabbing two police officers in Melbourne, forcing the federal government to tighten security legislation. "Regrettably, for some time to come, the delicate balance between freedom and security may have to shift," Prime Minister Tony Abbott said in October 2014, ahead of introducing a new bill making it a crime for an Australian citizen to travel to any conflict area overseas once the government has declared it off limits. 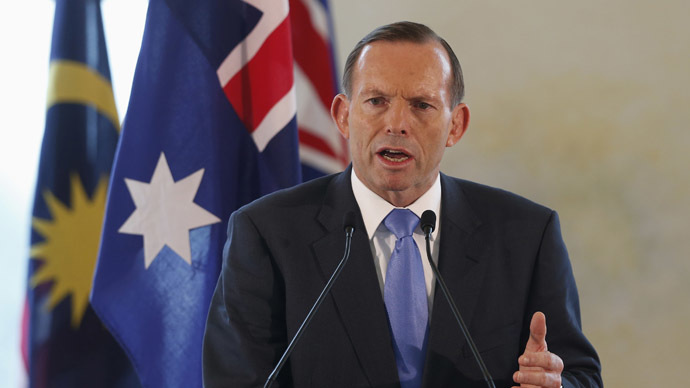 "My unambiguous message to all Australians who fight with terrorist groups is that you will be arrested, prosecuted and jailed for a very long time, and that our laws are being changed to make it easier to keep potential terrorists off our streets," Abbott said. In February 2015, the PM delivered another speech on national security, which made waves across the international community. “I’ve often heard western leaders describe Islam as a ‘religion of peace’. I wish more Muslim leaders would say that more often, and mean it,” he said. The aforementioned siege by an Islamic extremist in Sydney, in which Iranian-born Sheik Man Haron Monis took hostages at the Lindt Café and was killed as a result of a police operation on December 15, added heat to the situation. “It’s not helpful, it’s divisive. It labels our community as being responsible for the actions of a few,” Kattan said.